This little fish has been very challenging, I prefer to carve hard stones but this is for a soft stone carving comp, I replaced a section of the fin with fluorite as it cracked along a botroidal join, very challenging to get the fit 100%, my first try at this and very happy with the outcome, mother of pearl eyes. Nice work! Carving malachite must be challenging indeed. 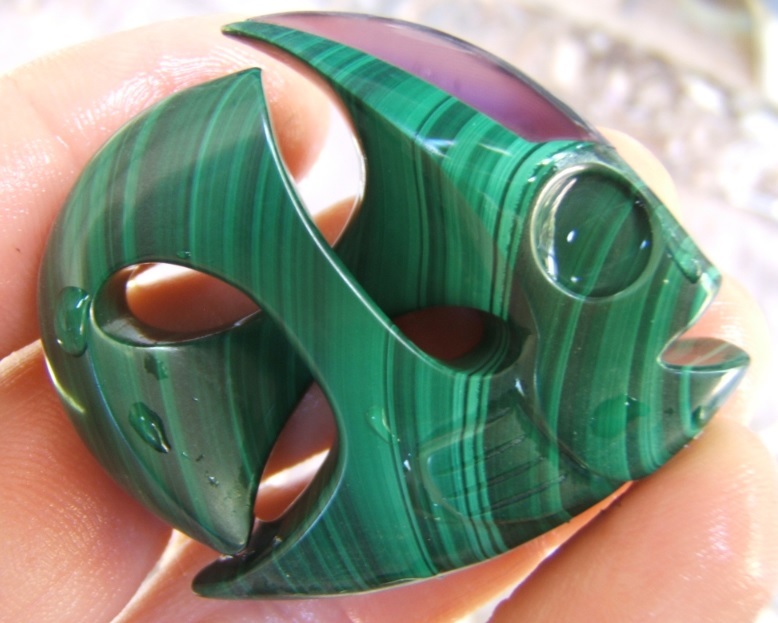 Malachite is a material I would have ran away from, when I was carving gemstones. 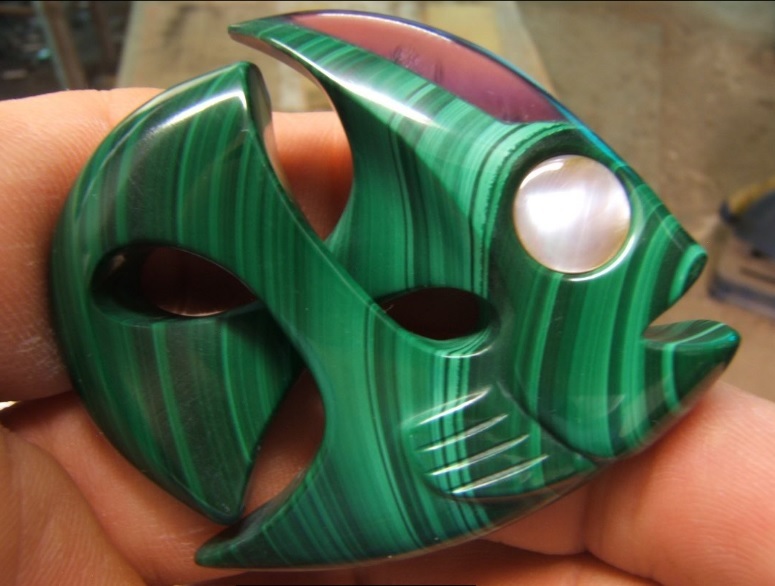 Awesome use of the natural colorations and banding of the stone along with this fish! I am very new here so it's been a pleasure to poke around and see what people are doing. I hope to one day be proficient at carving stone beads, so naturally I gravitate towards you stone carvers.